Customer experience (CX) is the experience a customer has when they interact with your brand, and digital customer experience management is understanding how they interact with your brand online. Organizations today must find a way to create emotional connections with their users on their mobile devices, let their customers provide feedback, and respond to those issues. Where Do You Start with Digital CX? When building out your CX program, mapping the customer journey is critical. This includes identifying key moments of truth— moments of consumer brand interaction that shape brand perception and loyalty. As we become increasingly digital, many of these key moments of truth are happening online. In a recent study conducted by Qualtrics, more than 65% of customers said that their experience on the website or app would be at least a “very important” factor in their willingness to recommend a brand. Within digital, mobile specifically is an inherent part of today’s digital experience. Global mobile and tablet internet usage exceeded desktop use for the first time in 2016 and we also see that 82% of consumers turn to mobile to help make a product decision. Consumers are also turning more to digital for support, with web or mobile self-service support usage outranking speaking with an agent over the phone (Forrester, 2016). It is abundantly clear that these digital moments, across platforms (mobile, tablet, or desktop) are shaping essential KPIs that will ultimately inform the path to purchase, as well as retention. A mobile-first mindset as part of your CX program design and management is more important than ever. 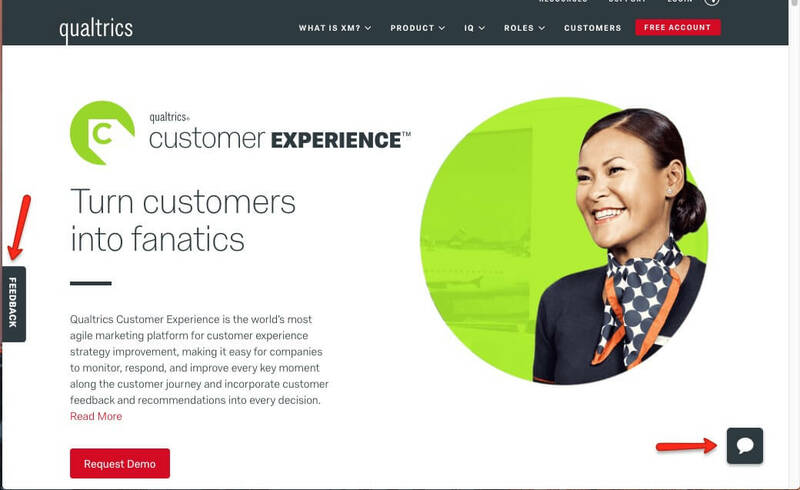 Many organizations look at the digital experience as a singular event, when really the digital experience itself consists of many different journeys that determine if the overall customer experience was positive. For example, was it a consumer coming to buy something that caused the positive interaction, or a consumer coming to get support? Did the brand interaction inform the purchase decision at that moment, or was the visitor simply conducting their own competitive comparison or price shopping exercise? The key to getting personal insights is asking the right questions at the right moment. Dive deep into certain touchpoints to see where your customers are enjoying the experience or getting stuck. For customers who have shopped with you in multiple environments (desktop, in-app, in the physical store), look for persistent pain points across their experiences. These are likely your brand promoters and you want to keep them happy. With any digital customer journey, you won’t get the design completely right at first, so it’s important to give your users a place to easily provide feedback in order to improve their experience. This can be in the form of an always present feedback tab, like the one we have on Qualtrics.com or a website chat function. The data is invaluable to improve the customer journey and when you implement their feedback, customers know that you care. Recovering from a misstep in the customer journey starts with asking for feedback. During this stage of your customer experience program, your goal is to figure out which journeys are common and diagnose the broad problems within them. You should also find out what is resonating with your audience so you can keep that on the journey. Here you’ll capture high-level metrics like the goal of the app visitor, and the likelihood of the visitor to recommend or return to your site. You’ll want to establish baseline metrics so you can measure and assess trends over time. Understanding the customer journey is a great place to start. From there, you can implement the feedback and close the loop. You should see some great benefits from your work on this first step, but don’t stop there! Get to the next level and become an expert by reading our eBook on Digital Customer Experience Management.